By Pension Lawyer Eva Cantarella of Hertz Schram PC on Monday, January 29, 2018. For the past 20 years, Transamerica Center for Retirement Studies (TCRS) has surveyed U.S. workers about their attitudes towards retirement. 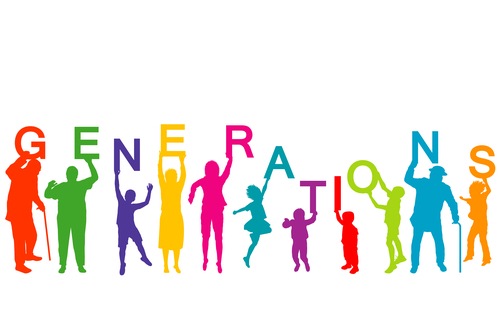 TCRS's most recent survey (Survey), conducted by the Harris Poll between August 9 and October 28, 2017 via an online survey of 6,372 representative workers across the U.S., reveals both similarities and differences in retirement views across three generations: Millennials (born 1979-2000), Generation Xers (born 1965-1978), and Baby Boomers (born 1946-1964). [See "Wishful Thinking or Within Reach? 18th Annual Transamerica Retirement Survey of Workers," December 2017, authored by Catherine Collinson, 117 pages]. All three generations expressed worries about their future retirement. Generation Xers (57%) and Baby Boomers (55%) cited outliving their savings and investments as their greatest fear, while Millennials (47%) cited not being able to meet the basic needs of their family as their greatest retirement worry. Across all generations, a whopping 76% expressed concerns that Social Security would not be there for them when they retired. While 56% of Millennials expect their primary source of retirement income to come from their own savings (e.g., in a 401(k) plan or IRA), only 39% of Baby Boomers expect this to be the case. The difference is likely attributable to the fact that, while Millennials have always been offered a 401(k) plan, Baby Boomers were long into their careers before employers began shifting from defined benefit plans to 401(k) plans. Therefore, Baby Boomers have not had as much time as Millennials to build up their 401(k) savings. Perhaps not surprisingly, 38% of Baby Boomers expect Social Security rather than their own savings to be the primary source of their retirement income. All generations shared the same top three retirement dreams: (i) traveling, (ii) spending more time with family and friends, and (iii) pursuing hobbies. Given the expense of travel, however, only 58% were very or somewhat confident that they would have enough money saved to pursue their travel goals. Many workers also expressed concerns they might experience health issues requiring expensive long-term care, or that they might lack access to adequate and affordable health care, both of which would tap their savings. Given these concerns, 66% of working Baby Boomers and 56% of working Generation Xers stated that they plan on working past age 65 or not retiring at all, with 83% citing financial reasons. But will they be able to do so? Let's talk about ageism. In general, Millennials consider a person old at age 65, Generation Xers consider a person old at age 70, and Baby Boomers consider a person old at age 75. When pressed for a specific age when a person might be too old to work, Millennials typically said age 70, while Generation Xers and Baby Boomers said age 75. These views obviously raise questions as to whether workers who want to work past age 65 are taking adequate steps to ensure they will be able to do so, such as staying healthy, performing well at their current job, keeping their job skills up to date, and learning new skills. Employing these measures could make all the difference as to whether one will be able to continue working past age 65, as 54% of all workers surveyed stated that whether a person is too old to work depends on the person. A substantial majority of all workers surveyed cited paying off debt and saving for retirement as their current financial priorities, but only 54% believe they are saving enough for retirement, and 79% are convinced they will have a much harder time achieving financial security than their parents. Reinforcing this belief is the fact that, among those currently participating in a 401(k) or similar plan, nearly one in three have taken some type of loan or withdrawal from the plan, thereby diminishing their retirement savings. Moreover, 36% of all survey respondents have less than $5,000 set aside for emergencies. Indeed, 27% of Millennials and 21% of Generation Xers have less than $1,000 saved. Although 27% of Baby Boomers have more than $25,000 saved, that still means that 73% of Baby Boomers (the generation closest to retirement) have less than $25,000 saved to last them through their retirement years. The Survey notes that U.S. retirement systems have historically depended on a three-legged stool for retirement security: (i) Social Security, (ii) employer pensions, and (iii) personal savings. However, given the low level of retirement savings and employers shift from defined benefit plans, which pay an annuity for life, to 401(k) plans, which pay a lump sum that may be exhausted before you die, this three-legged stool may no longer be sufficient. Rather, for many workers, a fourth leg must be added: continue working. 1. Create a budget that includes income, expenses, and short-and long-term savings. 2. Save for retirement consistently over time, and avoid taking loans or withdrawals from retirement accounts. 3. When evaluating employment opportunities, consider retirement benefits offered as part of the compensation. 4. Participate in employer-sponsored savings plans to the fullest extent possible. If your employer does not offer a plan, contribute to an IRA. 5. Calculate your retirement savings needs, including all living and health-care expenses; develop a strategy; write it down. 6. Get educated about retirement investing and Social Security so you can make informed decisions. 7. Check to see if you qualify for a Saver's Credit tax credit (available to eligible filers who contribute to a 401(k) plan or similar plan or IRA) and, if you are age 50 or older, make "catchup contributions" if they are available in your employer's 401(k) plan or your IRA. 8. Be proactive in taking steps to remain employed by keeping your job skills current, or even going back to school to learn new skills. 9. Have a backup plan in case you lose your job or retirement comes early for other unexpected reasons. 10. Take care of your health. I would add, stop spending money on things you don't need, and spend less on things you do need (e.g., buy the off-brand pair of jeans rather than the more expensive designer label jeans). In other words, live below your means. This is important because if you can live below your means, you can save; and if you can save, you can invest. In fact, living below one's means and saving and investing are oft-noted habits of self-made millionaires. See Spending Habits of Self-Made Millionaires From a Guy Who Studied Rich People for 5 years. http:///www.businessinsider.com/spending-habits-of-self-made-millionaires-2017-11 You might not get rich, but at least you won't be in the poor house when you retire.